Princess Maria Margarita of Bourbon-Two Sicilies, the daughter of Prince Gabriel of Borbon-Two-Sicilies and his second wife, Princess Cecilia Lumbomirska, died on January 15 in Madrid aged 79. Princess Maria Margherita was born on 16 November 1934 in Warsaw, Poland. On 11 June 1962, she married Luis Gonzaga Maldonado y Gordon in Jerez de la Frontera. She has three daughters; Maria Margarita (born in 1963), Maria Claudia (born in 1965) and Maria Cecilia (born in 1967. She also has four grandsons; Juan Bosco, Beltran, Pedro and Pelayo. Her funeral took place in Madrid and Queen Sofia of Spain, The Prince of Asturias and Infanta Elena were present. King Juan Carlos could not attend due to health issues. 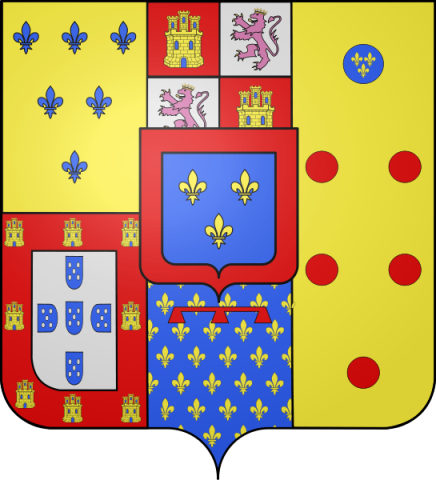 Tagged Death, House of Bourbon-Two Sicilies, Princess Maria Margarita of Bourbon-Two Sicilies. Lord, bless the soul of Princes Maria Margherita reach to Heavens to our consolation. Amen.